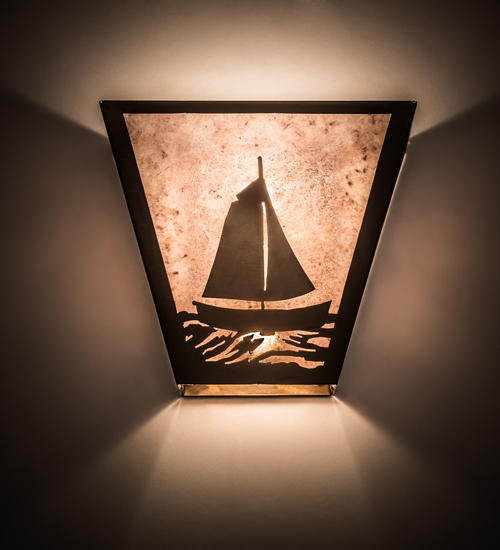 Description: Description: A boat sailing windward out on the sea is captured beautifully in this nautical pocket sconce design. Soft ambient light shines through Silver Mica, which is complemented with a frame and hardware featured in an Antique Copper finish. This fixture is handcrafted in the Meyda manufacturing facility, at the foothills of the Adirondack Lake region. Custom colors, designs, sizes and dimmable energy-efficient lamping options are available.